Designed to provide an intense ab workout while eliminating strain on the lower back, the Body Solid GVKR82 Vertical Knee Raise Machine is hard to beat for vacuuming the waistline. Easy and convenient step entry makes getting started a breeze. Thick, comfortable DuraFirm™ back pads and arm supports reduce fatigue and discomfort allowing you keep working on your abs and obliques. Both machines feature Dip Station handles with oversized handgrips for a killer triceps/ deltoid/ lower pec workout. Rock solid support and stability is delivered via heavy-gauge steel frames with all-4-side welded construction. The Body Solid GVKR82 Vertical Knee Raise Machine has thick, comfortable DuraFirm™ back pads and arm supports reduce fatigue and discomfort allowing you keep working on your abs and obliques. The Body Solid GVKR82 machine features Dip Station handles with oversized handgrips for a killer triceps/ deltoid/ lower pec workout. Rock solid support and stability is delivered via heavy-gauge steel frames with all-4-side welded construction. The Body Solid GVKR82 Vertical Knee Raise Machine is a rock solid power system that is designed to provide an intense ab workout while eliminating strain on the lower back. A 10 degree reverse pitch increases abdominal range-of-motion and securely locks you into position. 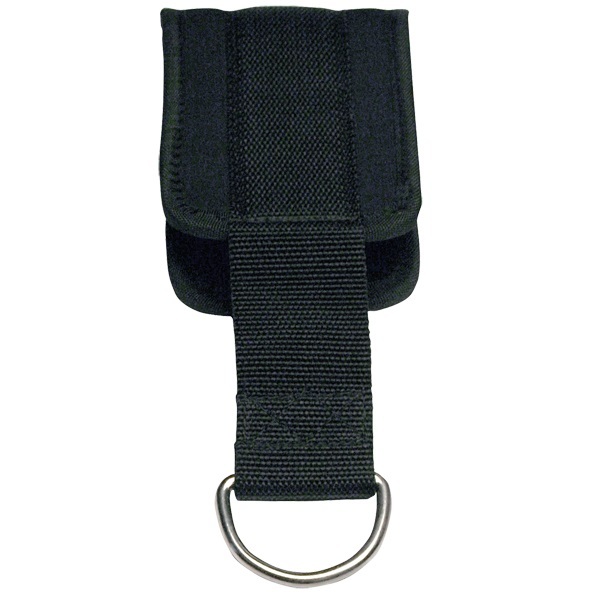 The GVKR82 Deluxe Vertical Knee Raise is hard to beat for trimming the waistline. 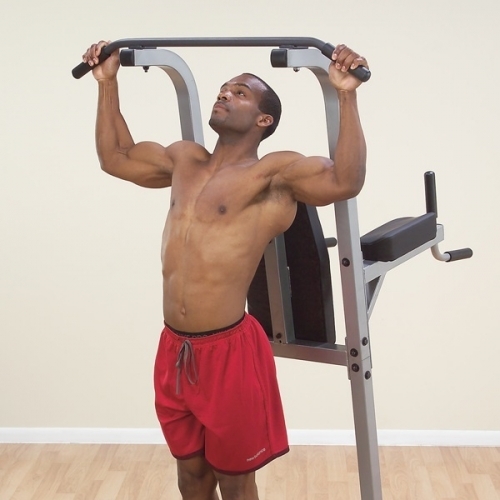 The Lat Pull-Up, Chin-Up Station features easy step-up entry making getting started a breeze. Thick, comfortable DuraFirm™ back pads and arm supports reduce fatigue and discomfort, thus, allowing you to keep working on your abs and obliques. The heavy-gauge 2" x 2" all-4-side welded high tensile strength steel mainframe construction is ideal for home or commercial use. The GVKR82 Dip Station handles are equipped with oversized handgrips for a killer triceps, deltoid and lower pec workout. 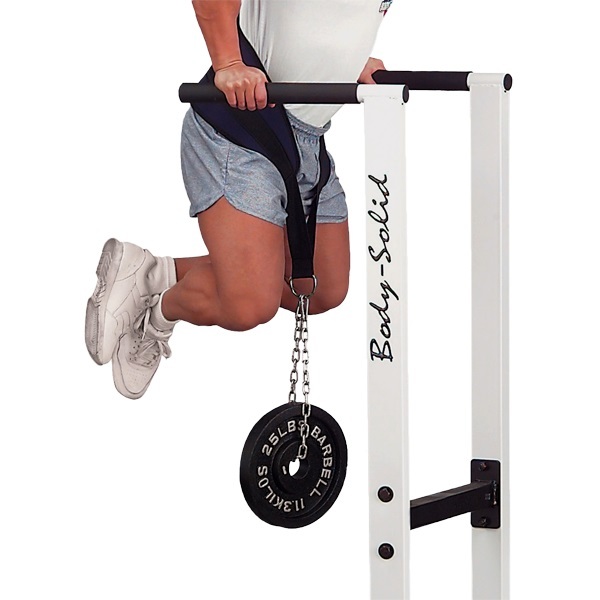 Call 1-800-875-9145 with any questions you may have about the Body Solid GVKR82 Vertical Knee Raise. 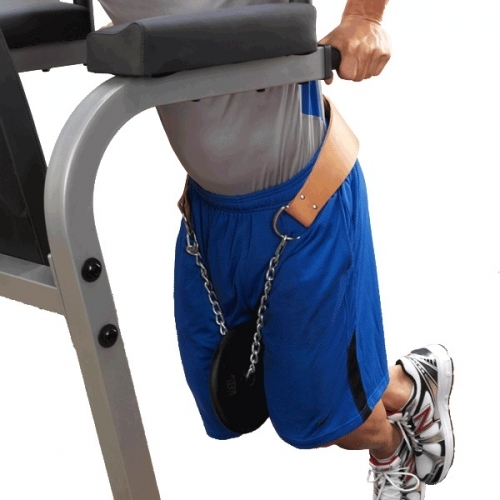 Order your Body Solid GVKR82 Vertical Knee Raise from FitnessZone.com today! 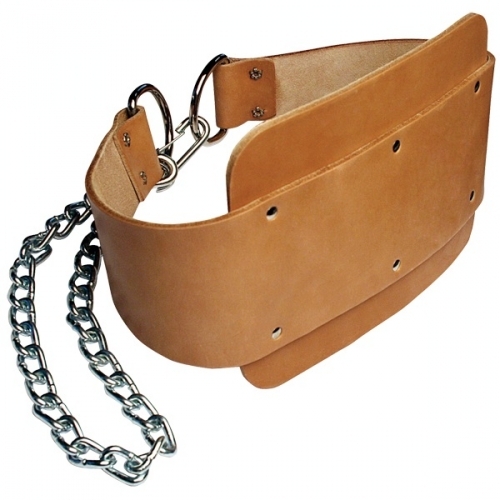 Used with any type of weightlifting belt allowing it to also function as a dipping belt. 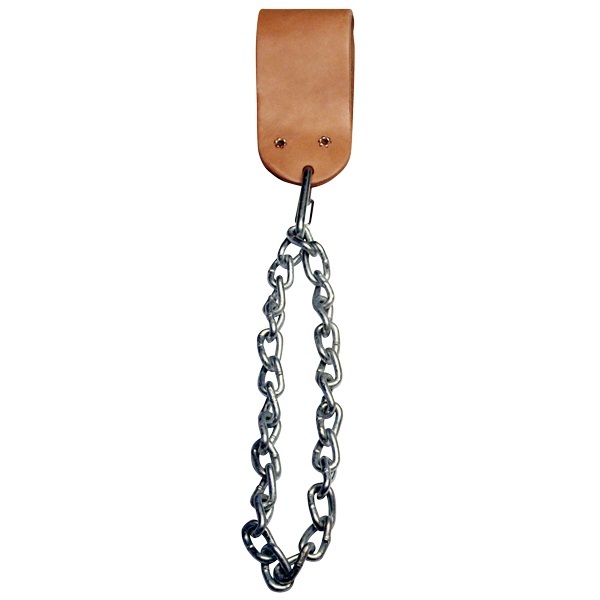 Features heavy-duty steel chain with quick release snap link. Weight plates, belt and dipping station optional. 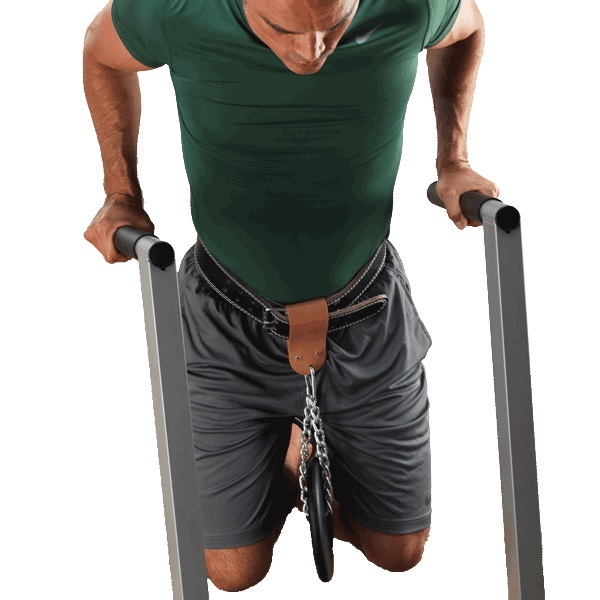 Order your Body Solid Vertical Knee Raise, Dip & Pull Up Station from FitnessZone.com today!